Step by step Onde-onde dessert recipe with pictures. 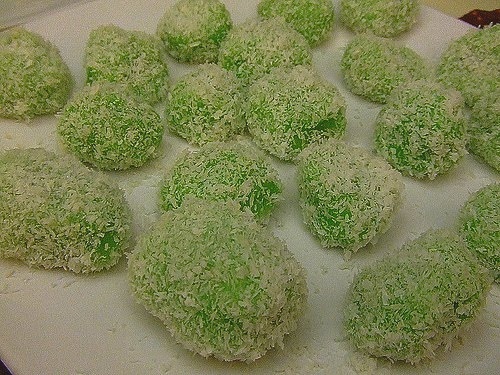 Coconut Poppers or Onde-onde is a small round balls made from glutinous rice flour with pandan (screwpine) leaves essence, filled with palm sugar and rolled in fresh grated coconut. A delight to eat as it pops in your mouth with a sweet sensation of oozing palm syrup! 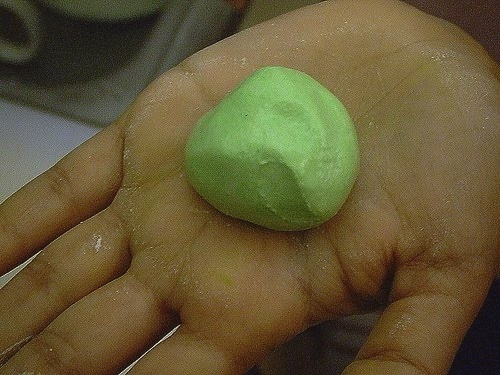 Bring a pot of water to a boil, add the dough balls. 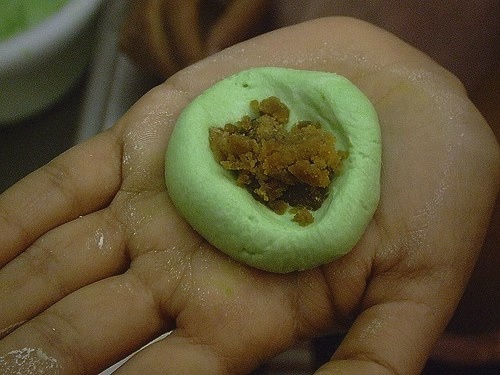 Onde-onde is best served warm – pops in your mouth with a sweet sensation of oozing gula Melaka [Malaccan sugar] syrup!